Every horse is naturally asymmetrical. In the 17th century, Grandmaster in the art of riding Antoine de Pluvinel (1552 – 1620) already described the natural asymmetry of horses. Also, François Robichon de La Guérinière (1688 – 1751) and Gustav Steinbrecht (1808 – 1885) wrote about this phenomenon in their books. 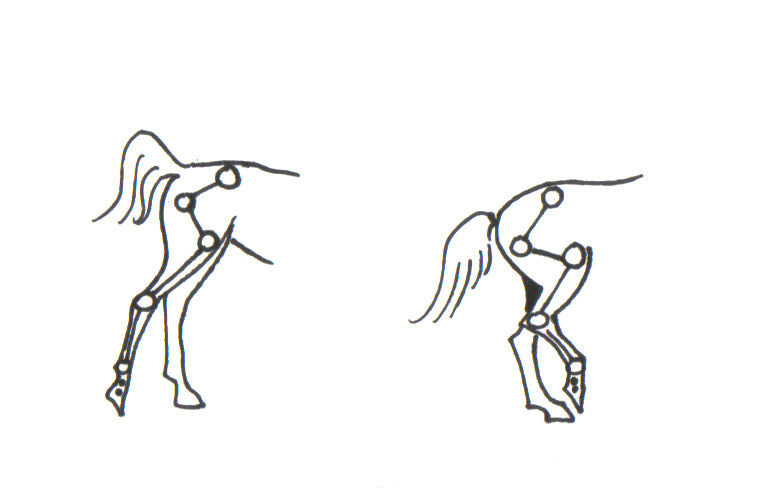 Almost every horse bends naturally more easily to one side than to the other. This is a result of the natural bending of the spine. The spine is bent from neck to tail, and can be bent to the left or to the right. 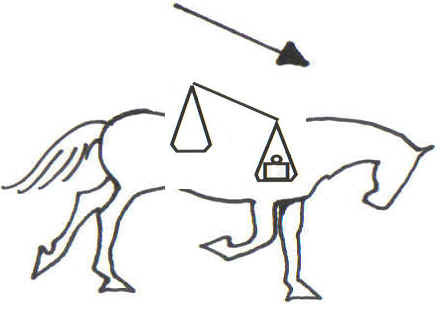 Some horses have a continuous ‘’S’’-curve in their spine. concave, hollow side that contains short, stiff and strong muscles. convex, stretched side that contains long, supple, weak and less developed muscles. 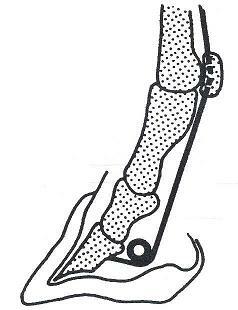 Hoof preference: Is your horse right- or left handed? It’s likely that your horse is either right- or left-handed. 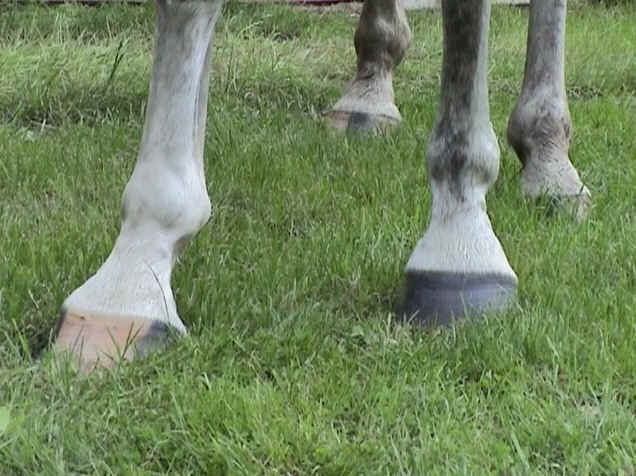 In the wild it makes sense to have a hoof preference, because in emergencies, one side of the body will take the lead. Step 1: Place some food about 5m in front of your horse. Step 2: Encourage it to come forward and eat the food. Step 3: When it begins to eat the food, note whether the left or right hoof is placed furthest forward. Step 4: Do this twice more.